At a talk Friday, new NYPD Commissioner Bill Bratton promised that the police force would be more open and make its data available in more accessible formats, City and State and others reported. “There should be no secrets in the NYPD. We are going to do more to open up the organization, to make it more inclusive, to make our information more readily available to the public, and to try and format it in a way that is more easily retrievable," he said. 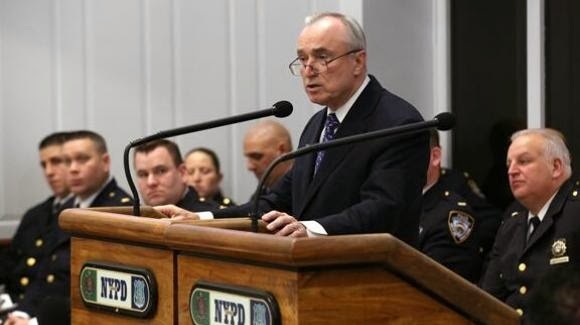 City and State also reported that Bratton intends to name a deputy commissioner for information technology in the coming days to work with the City Council to achieve that goal. Bratton, who recently officially started a Twitter account as commissioner and posted about a CompStat meeting, also discussed how social media data could inform the NYPD about attitudes in different precincts. More accessible NYPD data, especially related to fatal traffic collisions, is already high on the agenda for the new City Council leadership as part of a larger government accessibility and transparency push by Bronx City Council member James Vacca, chair of the technology committee, and Upper East Side City Council member Ben Kallos, chair of the government operations committee. The newly elected City Council has already overridden former Mayor Bloomberg's veto of another bill requiring the NYPD to provide more information on collisions where a driver leaves the scene of an accident. 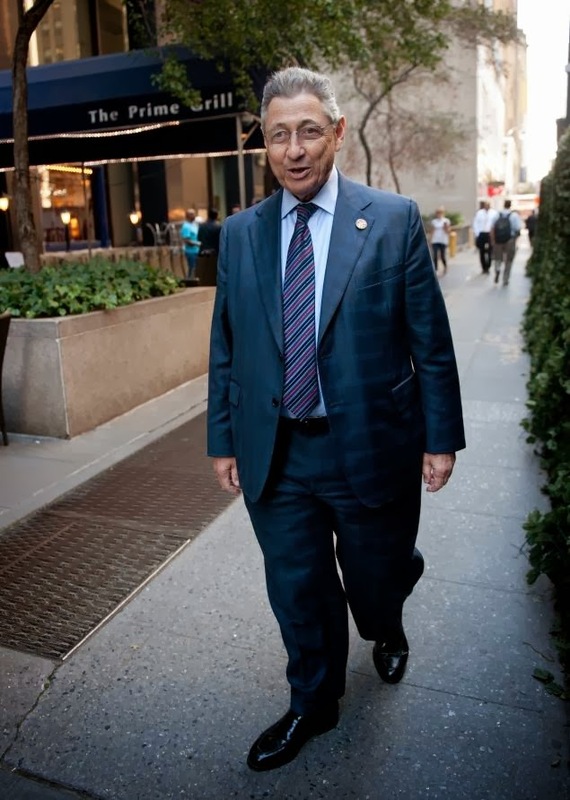 Vacca previously chaired the transportation committee, which considered legislation last fall that would require the Department of Information Technology and Telecommunications to offer an interactive map of traffic crash data, and saw push-back from the NYPD at the time. Members of New York City's technology community recently renewed their call for more accessible traffic data in response to Mayor Bill de Blasio's Vision Zero initiative seeking to eliminate preventable traffic fatalities. Last year, many activists criticized as insufficient an interactive crime map the NYPD announced. In an interview last week, Vacca said he wanted to build on his transportation committee experience and bring to the technology committee a focus on improving the available data on where crashes occur and help identify vulnerable intersections. He has also already introduced legislation requiring the NYPD to make more statistics available about crime in New York City Housing Authority developments. Kallos echoed those concerns, emphasizing that he wants to " make sure that the crash data is as close to real-time as possible to achieve [de Blasio's] Vision Zero [plan]....and not to know just the intersection, but where on the street the accident occurred." Both Vacca and Kallos also have other wide-ranging open government plans in mind. Following legislation passed last year requiring the webcasting of all public city meetings, Vacca has also already introduced legislation that would require webcasting of local community board meetings. He also said he wanted to work on improving the city's wireless network, ensure compliance with theopen data law and look at ways to improve access to technology for those who don't have access to computers at home or those who have less technology experience, such as senior citizens, an issue he also previously addressed as chair of the senior citizens subcommittee. Kallos says he is the only software-developer who is a member of the City Council, and emphasized that he hoped to draw on his background as an open government advocate and technology consultant. In 2009 he decided to address accountability issues he had seen first-hand as a chief of staff for a New York Assembly member by establishing the Open Government Foundation and setting up the first platform that posted attendance, legislation and voting records going back to 1995 that let users see how often city or state legislators voted with the majority. "It was so successful that in the months following, the [State] Senate did it and then the Assembly did it themselves," he said, with the City Council also establishing a similar platform. In 2007, as part of the New York Democratic Lawyers Council leadership, he helped set up a system allowing New Yorkers to check their voter registration status, a platform later adopted by the New York State Board of Elections and MoveOn. Now, as a newly elected Council member, he was one of the first to officially sign-up for theParticipatory Politics Foundation's AskThem platform and backs City Council rules reforms that put an emphasis on providing clearer information on proposed legislation to the public online, making the web presences of Council members more interactive and creating more transparency for the allocation of City Council discretionary funding. The proposed rules are backed by the City Council's influentialProgressive Caucus, co-chaired by Brooklyn Council member Brad Lander, a strong proponent ofparticipatory budgeting and also an AskThem participant. In the area of Freedom of Information law, Kallos said he wanted to work to make the process in New York City more trackable online and transparent, noting that de Blasio had issued a critical report on Freedom of Information law as public advocate. "Something that we're hoping to introduce shortly is our number one wish list...which is an online affordable housing portal...from listing affordable housing opportunities to applying through the portal for all of them at once, and being notified about where things are in the process," he said. Kallos stressed that the government operations committee has oversight over 11 agencies and commissions, as well as local community boards. He said he planned to support efforts, also encouraged by Manhattan Borough President and former operations and technology committee chairGale Brewer, to increase transparency, improve the web presence and create a centralized technology infrastructure for the community boards. He is also interested in a local version of the federal Public Online Information Act that would help make information like the City Record more accessible. With oversight over the Campaign Finance Board and the Voter Assistance Commission, Kallos, who promoted a Vote with Kids social media effort ahead of the presidential election, said he hoped to expand tools such as the NYC Votes application and provide support for text message campaign donations, which were approved last year. On Thursday, he, along with Brewer, John Kaehny of Reinvent Albany and Art Chang, chair of the Voter Assistance Advisory Committee, will participate in a Campaign Finance Board post-election panel titled "Improving Fundraising and Disclosure through Technology." The operations committee's first hearing on February 28 will concern a recent critical report by the Department of Investigations on the Board of Elections and the recent Presidential Commission on Election Administration report. Mayor de Blasio did not emphasize transparency in his State of the City speech Monday, although he did state that his aim "is that within eight years, the majority of skilled technology-related jobs in New York City are being filled by those educated in New York City schools." He has also not yet made any leadership announcements at agencies like the Department of Information Technology & Telecommunications, NYC Digital or the Mayor's Office of Data Analytics. Michael Flowers, New York City's first Chief Analytics Officer under Mayor Bloomberg, has joined NYU’s Center for Urban Science & Progress as an Urban Science Fellow, it announced the other week. Vacca suggested that de Blasio "has been really deluged with snow," but emphasized that part of his duty as chair of the technology committee would be "insisting that technology be on the radar screen of the city." The coordinated effort by Republicans and Democrats in New York’s Assembly and Senate is a rare show of bipartisan unity from lawmakers who have been bombarded with complaints from parents around the state about the tests. ALBANY — Ramping up the pressure on state education officials, New York Senate and Assembly leaders on Tuesday called for a two-year delay in using Common Core-based tests to evaluate students and teachers. The officials — including Assembly Speaker Sheldon Silver and Senate GOP leader Dean Skelos — said they supported federal Common Core standards but believed more time was needed to develop a curriculum and train teachers on how to implement it. “You can’t propose an entirely new curriculum, an entirely new set of standards and say: ‘Here it is, teach to it,’” Silver said. Skelos (R-Nassau County) joined with Senate co-leader Jeff Klein (D-Bronx) and Senate Education Committee Chairman John Flanagan (R-Nassau) to issue a nearly identical statement. The coordinated statements marked a rare show of bipartisan unity in Albany from lawmakers who have been bombarded with complaints from parents around the state about the tests, due to be administered for the second time this April. Student scores plummeted statewide in last spring’s tests. “I am very happy to hear that so many leaders in Albany are saying what we have known for two years now, that this is a debacle,” United Federation of Teachers President Michael Mulgrew said. Silver urged the Board of Regents to “take the message and deal with it” — a comment that came as Assembly members began interviewing candidates for four positions on the board set to be filled by the Legislature this year. Several members pressed the candidates about possible changes to the Common Core. Regents Chairwoman Merryl Tisch and state Education Commissioner John King, in a statement, said a special Regents work group will present options next week. A spokeswoman for Gov. Cuomo said it was “premature” to call for a moratorium on the use of Common Core tests and urged lawmakers to wait until a special panel he intends to create has a chance to review the issue. Legislative officials pointed out that the still-to-be-named panel will issue its report after the tests have been taken.